For me, our new series represents a convergence of interests. It’s no secret I’m an unabashed Audi fan, and as a designer, I’m naturally drawn to the cars that epitomize the most uncompromised expression of Audi’s design philosophy: Their concept cars. 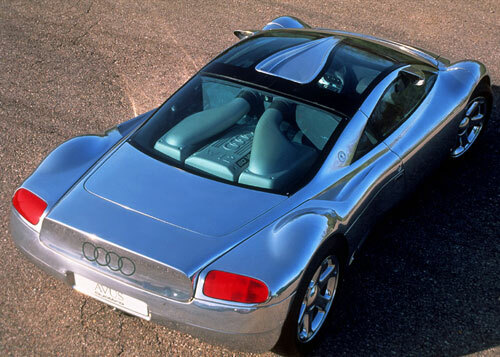 Today’s symphony in polished aluminum, the Avus quattro, was introduced in 1991. Its W12 engine marked the first appearance of the now somewhat-commonplace W-configuration, essentially two narrow-angle V6s joined at the crank. Audi quoted a power figure of 502 hp for the 6.0l engine, but it’s questionable as to whether the engine was ever installed, and the Avus hit the car show circuit with a mockup powerplant under the rear glass. 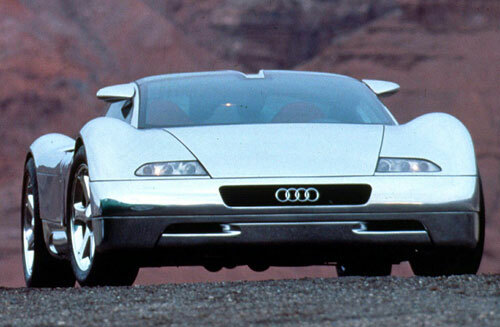 In any event, the Avus was more of a design exercise than a technical showpiece, although it did feature Audi’s signature quattro AWD system and preface the automaker’s pioneering aluminum construction methods. 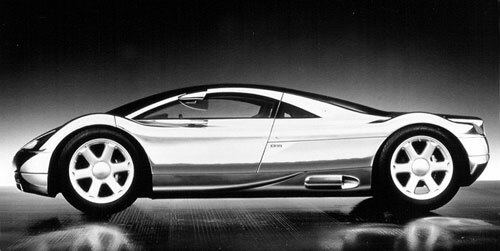 No, the Avus was first and foremost about the curves, with its downright suggestive waistline and delicate wheel bulges. There were connections with the all-conquering pre-war Auto Union racers, too, with the Avus’ wheels pushed out toward the car’s corners, and the cockpit’s location right up front. But overall, as a combination of sensual appeal expressed in a seemingly austere, form-following-function, futuristic wrapper, it’s arguably without peer. It’s that tension between the seductive and sterile that maintains the Avus’ fascination to this day. If I have any criticism of the design, it’s that the nose treatment appears to be almost an afterthought in light of the drama of the car’s profile and top-view details. The fascia, not coincidentally, is the part of the car which has dated itself most rapidly; with a few changes the rest of the Avus would be quite at home on the modern car show circuit, not so the nose, which would need a full redesign. But I’m really splitting hairs. The Avus was a showstopper, a bold statement about Audi’s design and technical direction delivered in a shape that could stop traffic. 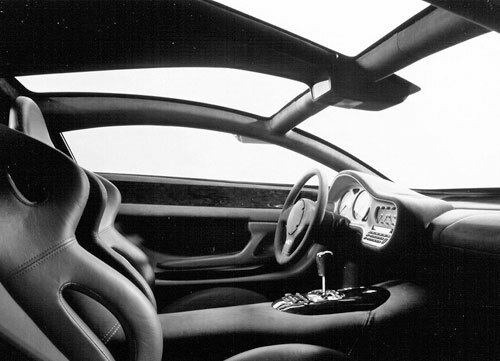 In other words, it was everything a concept car should be.